New Family Friendly Movie Info & #Giveaway!!! A new, family-friendly animated movie hits theaters next month! 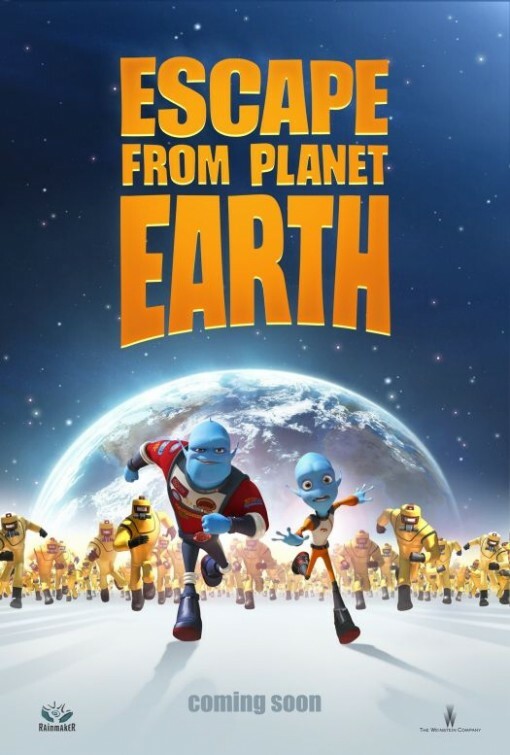 On February 15th, The Weinstein Company releases its newest film, "Escape From Planet Earth." This 3D comedy, follows the adventures of Scorch Supernova, a heroic alien astronaut from the planet of Baab, and his not-so heroic, behind-the-scenes brother, Gary. Both brothers work for BASA, the Baab version of our NASA. When BASA receives an S.O.S. from a dangerous planet named Earth, Scorch jumps at the chance. Gary on the otherhand, no-so-much. Just like most brotherly relationships, Scorch doesn't heed Gary's warnings, heads to the dangerous planet and finds himself in need of rescue instead of the other way around. Little did they know, the S.O.S. was actually a trap set by Shanker, a human who captures aliens and is bent on destroying their home planets. Gary finds himself the only one who can save his brother and Baab from Shanker's evil plan. Oh, if only Scorch had listened to him in the first place! Besides a great dose of comedy the story contains the themes of family, loyalty and doing what's right. The voices of the characters are a great lineup of quality actors and actresses. - Also, making voice appearances are Jane Lynch and George Lopez! 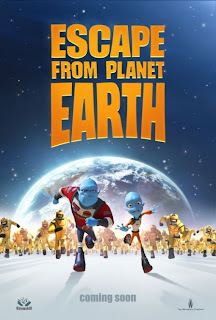 Thanks to the people behind Escape From Planet Earth and Mom Spark Media, one of my readers will win a $25 Visa Gift Card & Escape from Earth Prize Pack, which includes a tattoo Sheet, activity book & crayons, and a backpack clip! To win, enter in the form below. Disclosure: I was compensated for this sponsored post made possible by Mom Spark Media. Thoughts are my own. All prizing for MSM giveaways is handled by a third party unless otherwise noted. For this reason prize fulfillment can take up to 90 days after the winners information is received.